Have you been there? Do you have more questions than answers? In this book, Jeff Leake gives a wealth of insight and encouragement. He doesn’t promise instant solutions. He offers much more. Jeff reminds us that even when God seems inactive, unaware, or indifferent, He’s not. He’s always in motion behind the scenes to accomplish His wonderful (if sometimes mysterious) purposes. 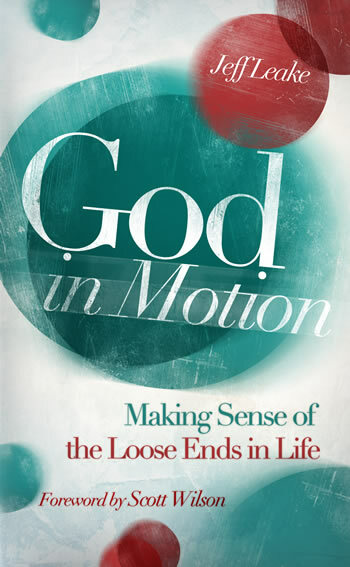 God in Motion contains inspiring life principles, compelling stories, specific applications, and questions to stimulate reflection and interaction. If you’re puzzled about the loose ends in life…this book is for you! Jeff Leake’s passion is planting churches. While serving as lead pastor of Allison Park Church in Pittsburgh, Pennsylvania for over twenty-one years, he has also established the Northeast Ministry School to train church planters, missionaries, and members of church planting teams. Under his leadership, Allison Park Church has helped to plant seventeen new churches and has set a goal to plant 100 more in the next ten years. Jeff and his wife, Melodie, and their five children live in the Pittsburgh area.